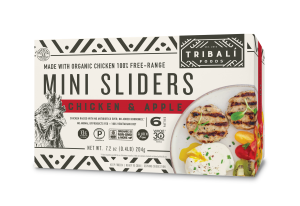 SAN MARINO, Calif. — TRIBALÍ Foods which celebrates its one-year anniversary in grocery stores, has added Chicken & Apple and Pork & Sage mini sliders to its portfolio of clean, frozen homecooked classics. Inspired by breakfast, yet versatile enough for any mealtime of the day, these 1.2 oz. mini sliders blend high quality organic fruit and herbs with pork or chicken from small family farms, for a flavorful, nutritious entrée centerpiece that’s ready in minutes. Refined with the help of a group of Southern California foodies and their Instagram followers, Founder and Holistic Nutritionist Angela Bicos Mavridis created the new product to meet the demand for healthier breakfast meats. The new varieties add the spice and flavors of fall comfort foods, without additivities, preservatives or unnecessary sugar.Chicken & Apple blends organic, free-range chicken with tart, tangy apples, sage, thyme and a touch of nutmeg for a lean 13g of protein per serving that’s low in sodium and sugar. Those favoring high-fat, low carb diets will particularly appreciate the sugar-free Pork & Sage mini slider’s 17g of fat, 1g of carbohydrates and 11g of protein per serving of two sliders. Sampling early prototypes of the new varieties in slider and link form, the health food connoisseurs and their Instagram polls proved the mini sliders victorious. Paleo certified, Whole30 approved, Non-GMO, and free of gluten, dairy and soy, TRIBALÍ Foods was inspired by founder Angela Bicos Mavridis’ own health journey and experience as a Holistic Nutritionist. After a 35-year stint as a vegetarian, she rediscovered the Paleo diet, reintroduced meat, and set out to create a convenient, wholesome meal option for others. 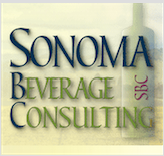 Initially launched with 4 oz. Mediterranean Style Beef, Umami Beef and Chipotle Chicken patties on the west coast, TRIBALÍ products are now available from coast-to-coast in retailers including Super Target and Natural Grocers, and shipping nationwide via its website. All ingredients come from a sustainable, transparent supply chain with meat that’s humanely raised without any added antibiotics or added hormones. Launched just in time for September rounds of Whole30, TRIBALÍ Foods mini sliders are now available exclusively in its online store with four-packs of six-slider boxes $27.96, and $6.99 six-slider boxes will launch in retailers including Walmart in October. Throughout the month of September, several official Whole30 Coaches will share their mini slider creations with step-by-step instructions on TRIBALÍ’s Instagram. Follow @tribalifoods and the hashtag #MyTribali for culinary inspiration. For more information about TRIBALÍ Foods, including its product lineup and where to buy, visit www.tribalifoods.com.